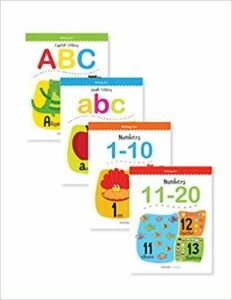 Amazon is selling Writing Practice A Set Of 4 Books (Writing Fun Pack) at Rs 135. It is a very good deal. SO, hurry up!! its a awesome Product. Wonder House Books; First edition (10 June 2018). So, Hurry up!! How to buy Writing Practice A Set Of 4 Books (Writing Fun Pack) at Rs 135?